4k00:15One morning a beautiful elegant woman eats breakfast at the outdoor bar with a coffee and croissants before going to work. Concept: Breakfast, relax business. hd00:16young woman finishing work on laptop, drinking tea and relaxing at home. 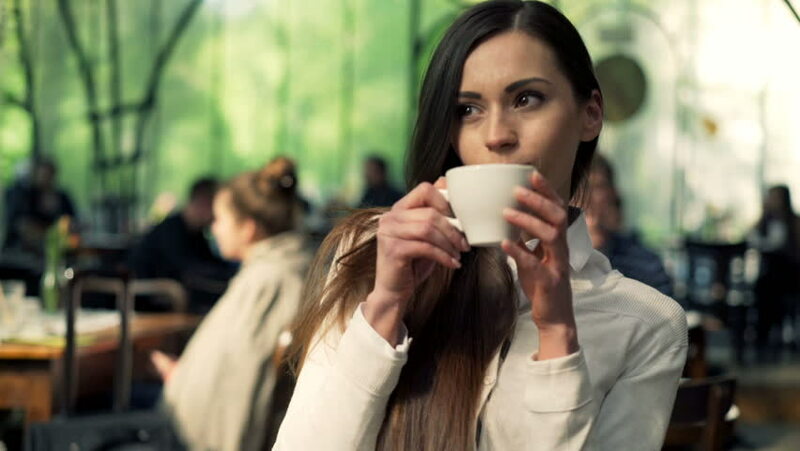 hd00:16SLOW MOTION: Beautiful young woman drinking taking a sip of coffee from a coffee cup in a cafe.